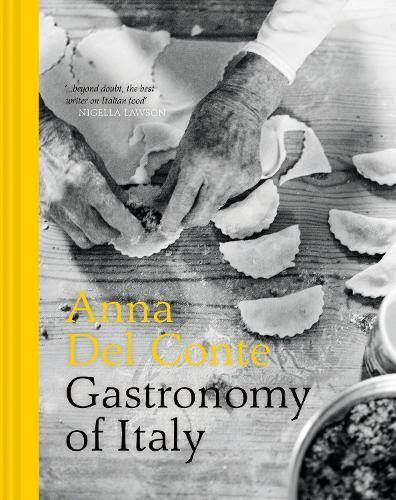 Spearheaded by Nigella Lawson’s rapt BBC tribute to Anna Del Conte (The Cook Who Changed Our Lives, broadcast shortly before Christmas), sales of this superlative, seminal work on probably the finest food in the world have skyrocketed. Gastronomy of Italy, which first found print in the 1990s - has been fully revised for the modern era, including newly-commissioned photographs of the dishes, ingredients and techniques, accompanied by clear regional mapping to create a complete, geographic portrait of the region’s food. Unlike most cookbooks, this volume is set up as a comprehensive A-Z encyclopaedia that encompasses far more than mere recipes and techniques. Each entry is studded with the history of the food itself and the people who shaped it, this way and that. There’s also valuable help toward sourcing and identifying ingredients at the freshest, ensuring that every meal you create (from the classics to Del Conte’s versions of Italian favourites - peperonata, lamb fricassee, ossobuco and so on) represents everything that is so satisfying about Italian gastronomy.